256 Seiten, 23 x 28 cm , 1278 g.
A compelling anthology of photojournalism from the nineteenth century to the present, profiling fifty–four masters of the field and reproducing their most stirring images. Featuring well over 200 memorable photographs. Ever since Roger Fenton inaugurated the genre by photographing the Crimean War in 1855, the worlds great photojournalists have used a variety of approaches to bear witness to their times. At one end of the photojournalistic spectrum are war photographers like Robert Capa and Larry Burrows, who capture the most extreme events of human existence as they happen; at the other are social documentarians like Lewis Hine and Sebastião Salgado, who step back from the single dramatic incident to cover in depth such economic and cultural issues as labor and migration. 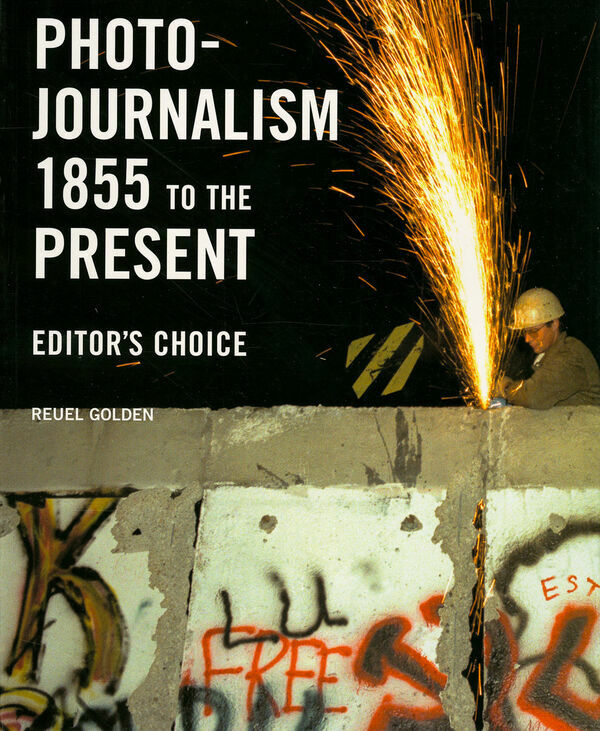 By compiling 250 of the most memorable images from photojournalism’s 150–year history, Photojournalism 1855 to the Present: Editor’s Choice provides a fascinating introduction to the entire range of the field. Author Reuel Golden, a noted authority on photojournalism, selected the fifty–four photographers featured in this book based on their critical reputations and historical importance. For each photographer, Golden provides a portfolio of representative images—many reproduced at full-page size—as well as a brief biography and an insightful critical commentary on his or her career. In these commentaries and in his informative introduction, Golden discusses the particular challenges of photojournalism, such as the relationship between photographer and subject, and the moral ramifications of aestheticizing human suffering. Yet perhaps most importantly, his text also encourages the reader to look closer and discover how well the photographs speak for themselves. From Frank Hurley’s groundbreaking World War I battlefield shots to Mary Ellen Mark’s stark portraits of American poverty and James Nachtwey’s haunting pictures of the September 11 attacks, the images in this book prove that even in our era of twenty–four–hour video–on demand, the still photograph remains as powerful as ever.